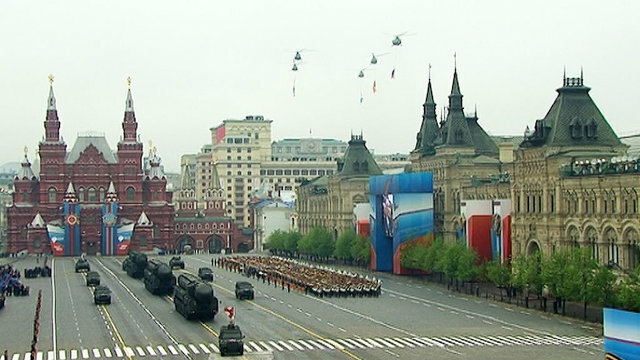 A Victory Day parade took place in Red Square on May 9 to commemorate 67 years since victory over Nazi Germany in World War II. The parade was reviewed by acting Defense Minister Anatoly Serdyukov and addressed by President Vladimir Putin. The parade involved the traditional pass-in-review by 14,000 personnel and over 100 pieces of military hardware.